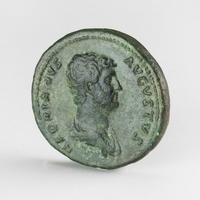 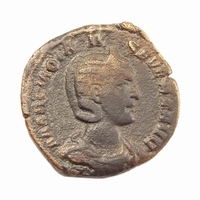 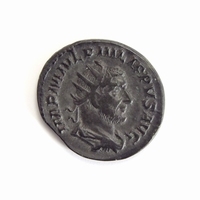 Obverse: IMP CAESAR TRAIANVS HADRIANVS AVG, laureate bust right, drapery on left shoulder. 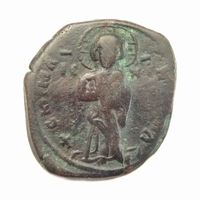 Reverse: PONT M AX TR POT COS III, Felicitas standing left, holding caduceus and cornucopiae. 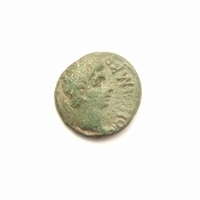 Good centered coin with attractive green toning.